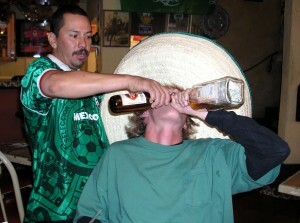 Ian knew his hangover had been spotted when Derek from Accounts arrived at his desk with a sombrero and hair of the dog. I have to confess that when I was asked to cover this topic, my instinct was to perform a little side-step and flee for the hills. After all, as professional things go, the combination of alcohol and work is a contentious area. In a climate where it’s an employers market and competition is tight, turning up for work with a blatant hangover is akin to clotheslining Harry Styles in front of a group of frenzied teenagers. You’re asking for trouble. What exactly is Professional Credibility? The quality of being trusted and believed in. The quality of being convincing or believable. Putting the two together, Professional Credibility is basically the feeling of trust and competence that you inspire in others.